A forest fire that started Friday night is now under control in Caldwell County according to online reports. The 50 acre fire started just before 8pm on Friday night. The fire is in the Globe Mountain Road area of the county. Many Watauga residents reported seeing the smoke on Saturday. 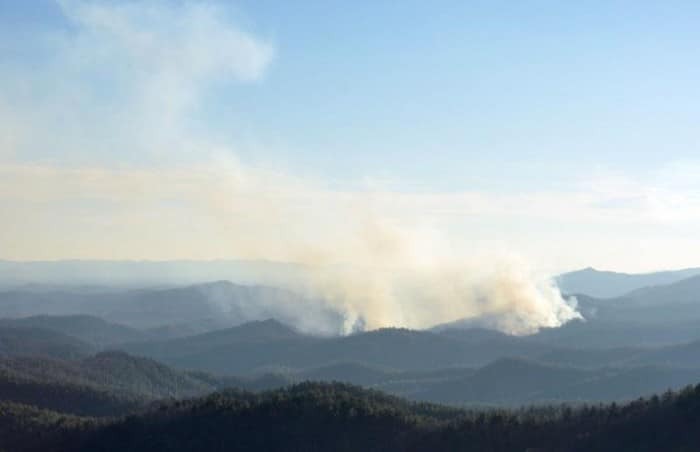 Firefighters from Caldwell, U.S. Forest Service and N.C. Forest Service will remain on the scene Sunday to continue working trouble areas. According to the Charlotte Observer the fire has spread to 150 acres and there is a containment line covering a 250 acre area. Officals tell the paper that they expect all that to burn over the next few days.